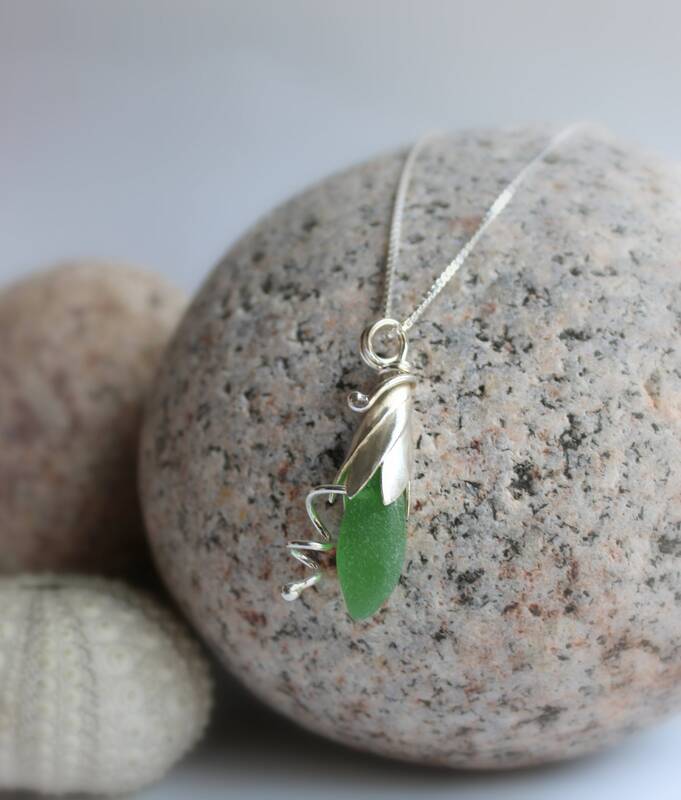 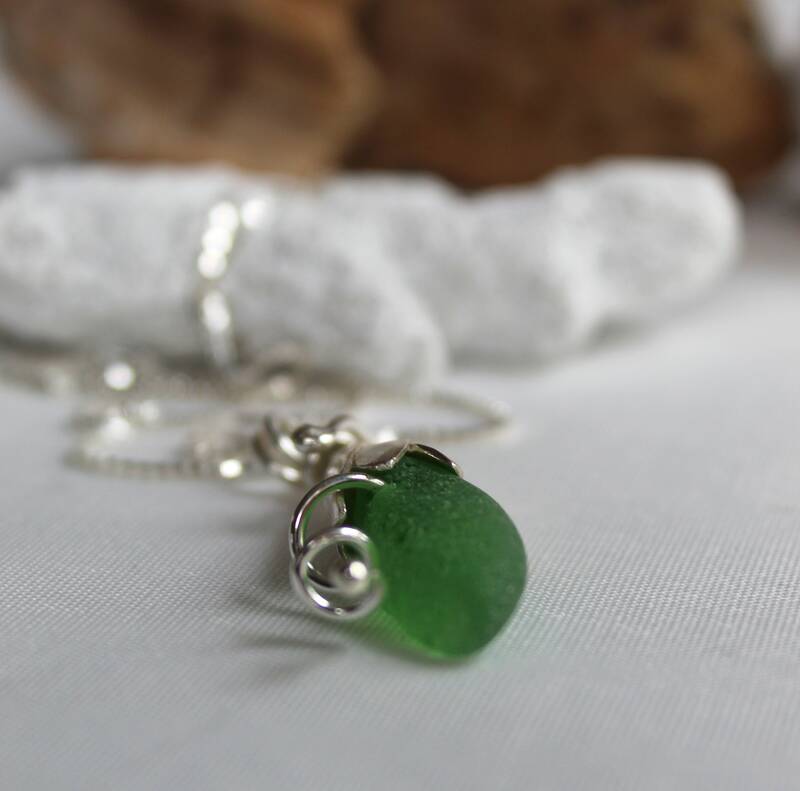 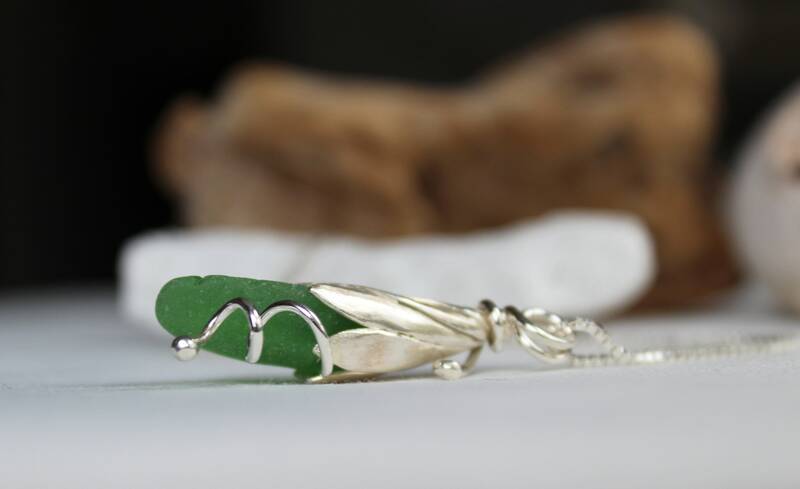 Our Sea Lily beach glass necklace is handmade in Nova Scotia with a curve of true green sea glass tucked inside a sterling silver lily, a beautiful sea glass necklace, straight from a mermaid's garden! 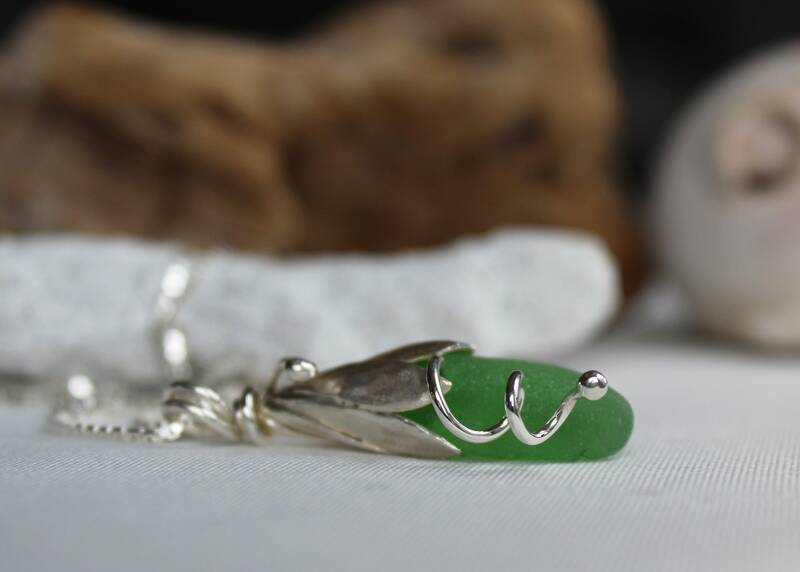 The pendant hangs on a sterling silver box chain. 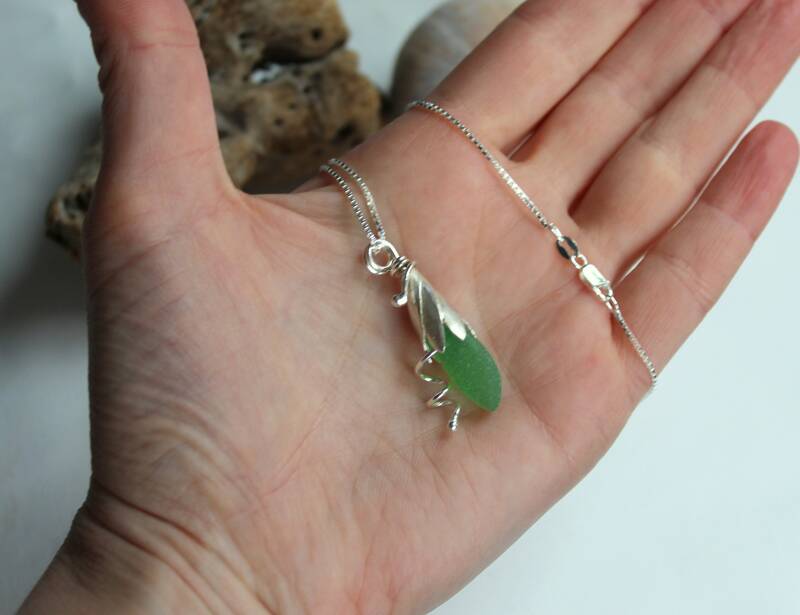 You can choose your length at checkout so you can wear your pendant just wear you like it! 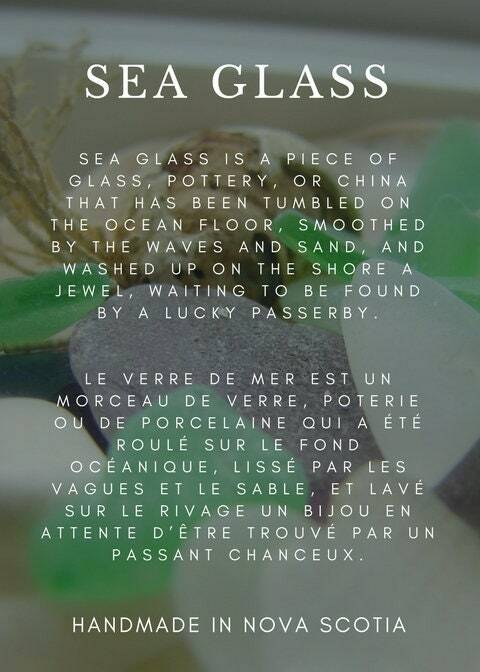 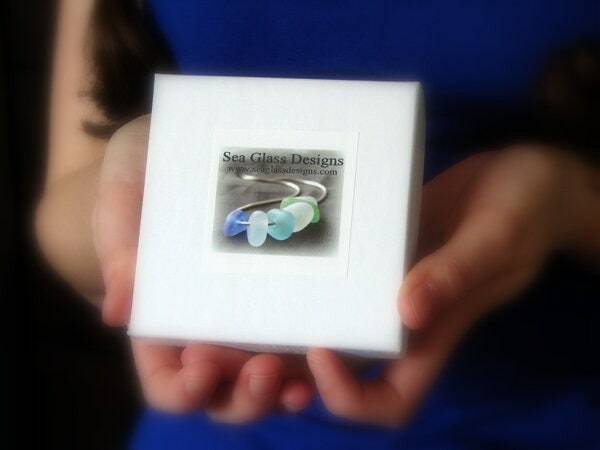 ~ Sea glass colour in this design is true green. 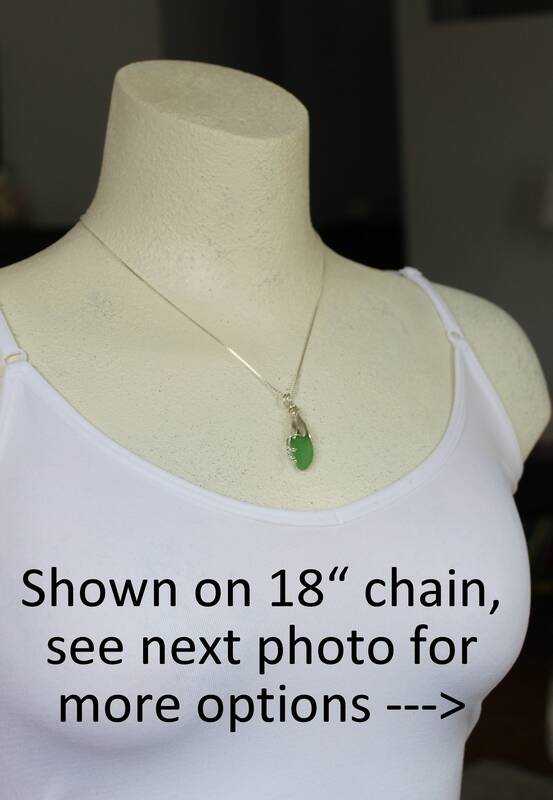 ~ Choose from 16, 18, 20, 22, 24 or 30 inch chain, see 7th and 8th photos. 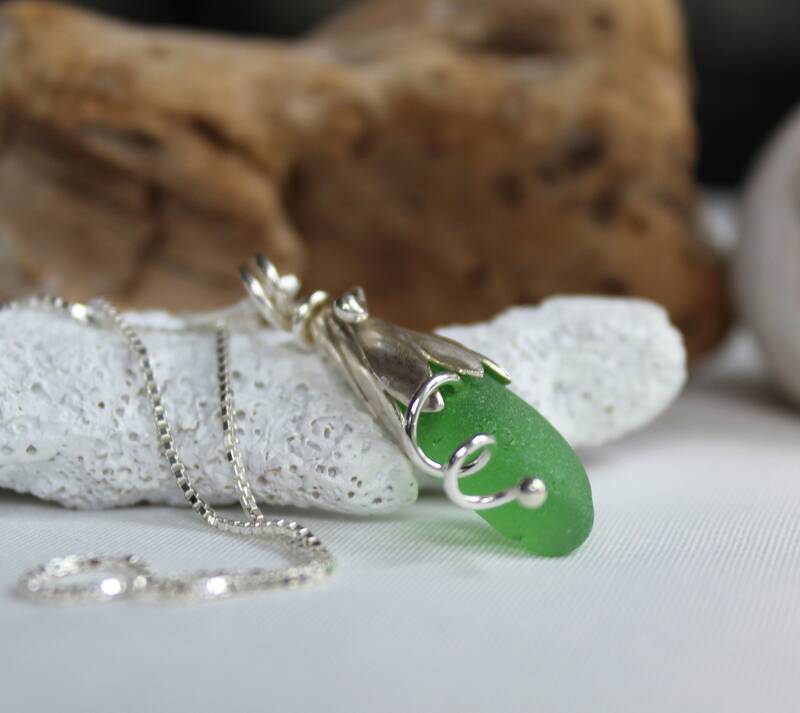 ~ The pendant measures 1 3/8 inches (3.5 cm) in length. 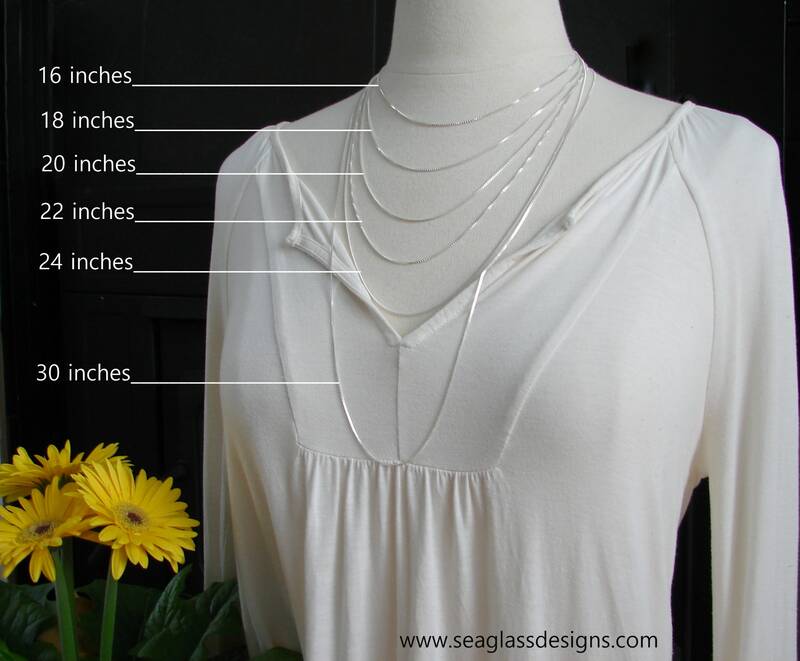 See 6th photo to help visualize the size.